Fragile is the fourth album by the British progressive rock band Yes, released on Atlantic Records. It was the band's first album with keyboardist Rick Wakeman after the departure of Tony Kaye, and the first to feature cover art by Roger Dean. 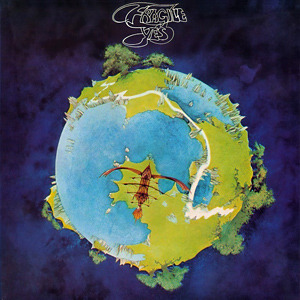 Fragile was issued in the UK in November 1971, but was held back in North America for two months because of the chart momentum of The Yes Album. It peaked at number 4 on the Billboard 200 during a stay of 46 weeks, and reached number 7 in the UK album chart.